EPIC is not really a health insurance company, although we can understand why you would be confused. EPIC actually stands for Elderly Pharmaceutical Insurance Coverage. It is a secondary insurance plan for seniors in New York State that is meant to help them pay for prescriptions. Looking for health insurance? Get online health insurance quotes by typing your zip code into the box below. EPIC customers must also be customers of Medicare Part D, although there are a few exceptions. EPIC helps seniors pay their Medicare Part D premiums, as well as the co-pays and deductibles. There are more than 250,000 EPIC customers, saving an average of 90 percent or more on their prescription costs. You may also send an email to [email protected]. In New York, you should also be able to find out information about the EPIC program at your local pharmacy and Office for the Aging. Remember that you must live in New York to qualify for this program. You must also be age 65 or older, with an annual income not to exceed $35,000 if you are single or $50,000 if you are married. If you are a Medicaid subscriber with spend-down, you are eligible for EPIC, but if you receive full Medicaid benefits, you are not eligible. EPIC offers a comprehensive website to help enrollees and potential enrollees with any questions they may have about the program. However, if you still have questions, you may reach an EPIC agent by calling 1-800-332-3742. The Helpline operates from 8:30 a.m. – 5:00 p.m., Monday through Friday, and you may request Spanish-speaking agents. The TTY phone number for those with impaired hearing is 1-800-290-9138. You may also download an application right from their website. Applications can be found at http://www.health.state.ny.us/forms/doh-3409.pdf. Quotes for the EPIC prescription plan are based upon an enrollee’s annual income and marital status. EPIC consists of both a Fee plan and a Deductible plan. Fee plan participants must have an annual income of no more than $20,000 if single and $26,000 if married. Deductible plan participants must have an income of $20,001 to $35,000 if single and $26,001 to $50,000 if married. Fee plan enrollees pay a standard quote, again determined by income and marital status. First, your Medicare payments must total a certain threshold before EPIC starts paying out. For instance, if you are single and have an annual income of $10,000, once your Medicare co-payments total $700, you pay a $36 annual fee for the EPIC plan. EPIC pays the full cost of your prescriptions for the rest of the coverage year. Deductible plan enrollees also have a standard quote based on the sliding scale determined by income and marital status. Once you reach their annual deductible amount, you pay a co-payment ranging from $3-$20, and EPIC pays the full cost of prescriptions for the rest of the coverage year. An example is a married enrollee with an annual income of $30,000, who would pay an annual deductible of $725 once their co-payments reached $1,200. With the EPIC prescription plan assistant program, there is no need to submit claims. You simply carry your EPIC card in your wallet and show it at participating pharmacies. If you are a member of Medicare Part D, you should show the Medicare card first, so that the pharmacist knows to bill Medicare as the primary insurer. If your prescription is not covered by Medicare Part D, the pharmacist will then submit the bill to EPIC for payment. Try to utilize a pharmacy that participates in both Medicare Part D and EPIC reimbursement. 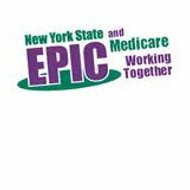 EPIC will not cover any prescriptions filled out of New York State, whether in-person or through mail order. EPIC also does not cover over-the-counter medications, medical devices such as walkers and diabetes supplies, or any prescriptions purchased before your EPIC coverage begins or after it ends. If you do not qualify for EPIC coverage, find another health insurance provider by entering your zip code in the box and looking through the health insurance rates offered by other companies. I have a very bad experience with EPIC right from the start. First, they charged me quarterly fee, although I should have it waived, having “Extra Help” from Medicare. Secondly, I waited almost 3 /three/ months for my Membership Card, while it supposed to be 7-10 days! Now, I am waiting for my Fee refund for over a month, already, although it supposed to be also 7-10 days! Moreover, they did not pay their share of my prescription cost!! It looks like a Fraud at the State level!!! I have a very bad experience with EPIC right from the start! First, they charged me a quarterly fee, although I should have it waived, having “Extra Help” from Medicare. Secondly, I waited almost three months for my Membership Card, while it supposed to be 7-10 days! Now, I am waiting for my Fee refund for over a month, already, although it supposed to be also 7-10 days! Moreover, they did not pay their share of my Prescription cost!! It looks like a Fraud at the State level!! !